Some 70 people attended the Bergen County Audubon Society’s New Year’s Day walk at DeKorte Park! Many were first timers, noted BCAS President Don Torino. 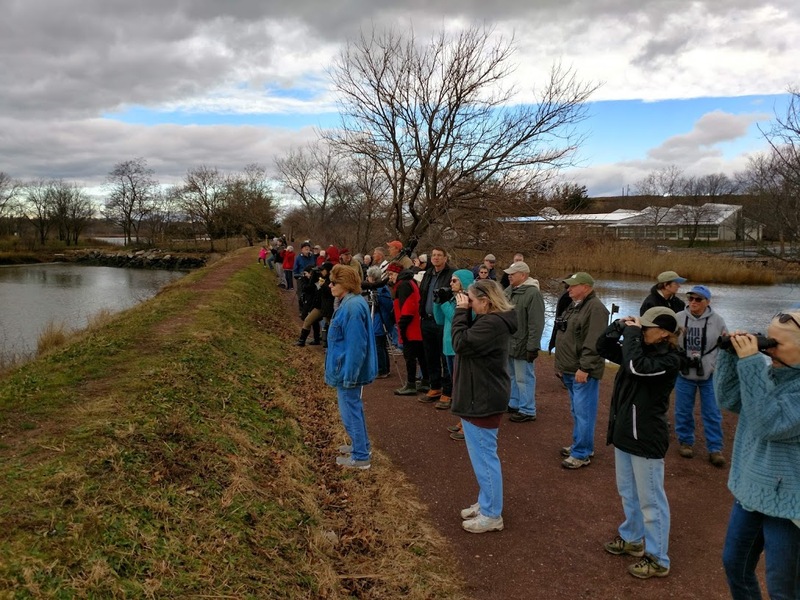 “Highlights were birds from Northern harriers to brown Creepers, but the real joy was having so many great folks including kids join us to kick off our 10th Anniversary year,” Torino said. He’s talking about the 10-year anniversary of the partnership between BCAS and the New Jersey Sports and Exposition Authority. We have many great events scheduled for this year to mark the anniversary, so check this site often!